The above image is an official document from Yi-Lan County, Taiwan. 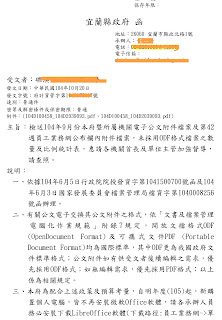 The subject of this document is to reiterate that all the users in Yi-Lan County, including teachers in schools, employees in the offices in all the villages and cities in Yi-Lan, and colleagues in Yi-Lan County Government, need to send documents in ODF or PDF format instead of Microsoft Office's format. 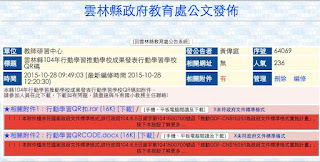 Yi-Lan County Government also announced in this document that they will not buy and install Microsoft Office in newly purchased computers. 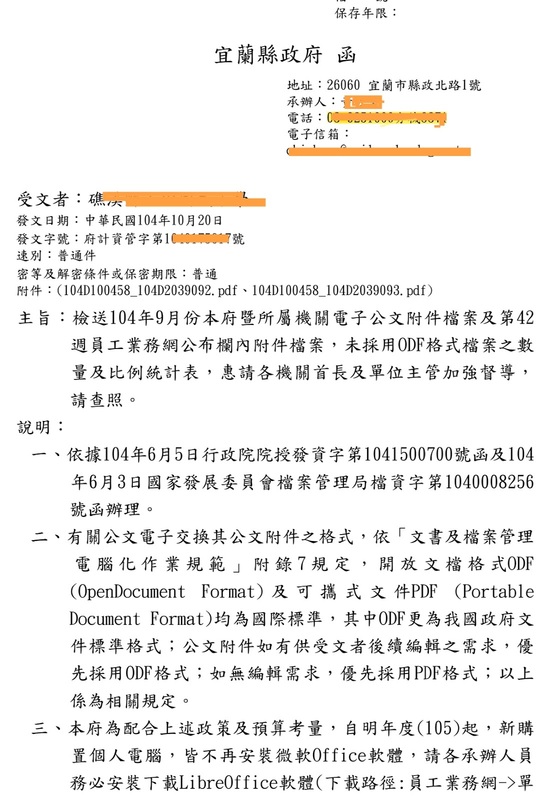 All the new computers need to install LibreOffice which can be downloaded in the inner file server in Yi-Lan County Government. 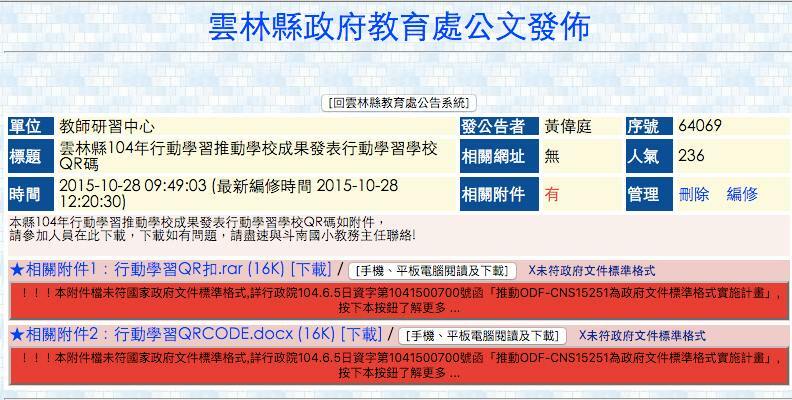 Besides Yi-Lan County, Yun-Lin County Government in Taiwan also took actions to warn those users who still upload or send out documents in OOXML or other non-ODF formats. The red part of the above image said, "This attached file does not comply with the formal national standard format ODF-CNS15251" where ODF-CNS15251 is identical to ODF 1.2. The above incidents show that Taiwan goes a bit further on the road to fully migration of ODF. Let's applaud and cheer on them!